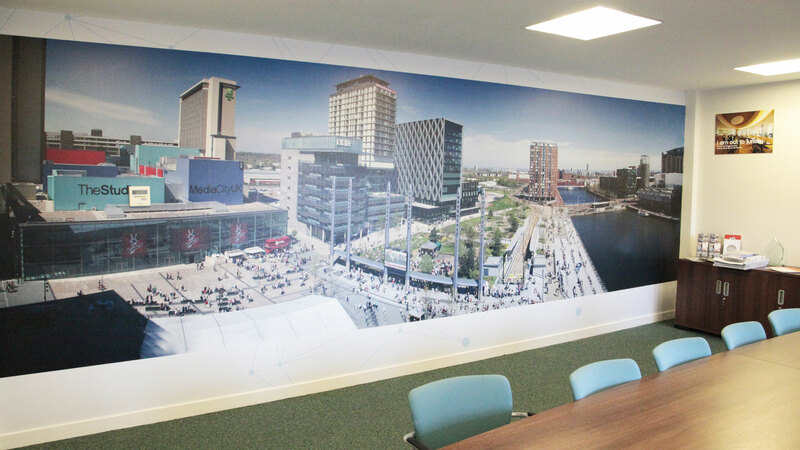 Peel Media Limited – the Company behind MediaCityUK, were recently awarded ‘Investors In People Gold’, a standard that is only reached by 7% of UK businesses! We were at the very heart of the creative process from start to finish. 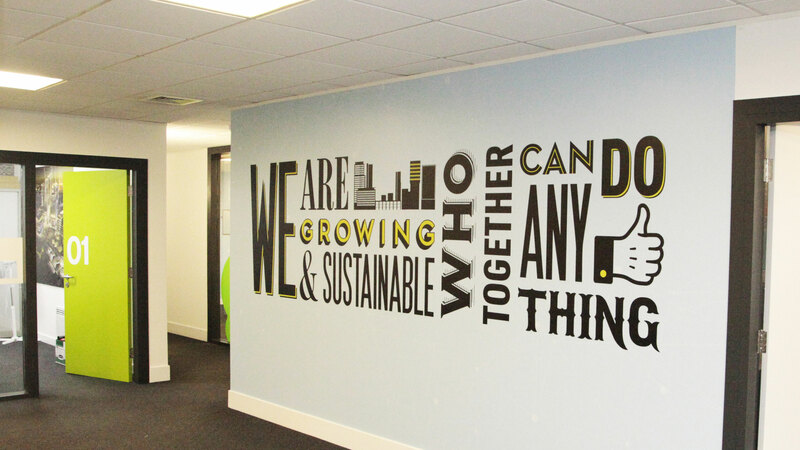 From design concept and illustrations through to production, we printed and installed all of the vinyl text and wallpaper for this very eye catching new look.